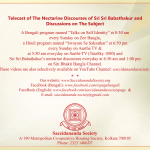 Saccidananda Society, the only organization authorized by the Divine Master Prajnanpurush Sri Sri Babathakur, to preserve, publish and disseminate the divine and eternal messages emanating from His lotus lips, notes with deep concern that some people are utilizing His messages by misquoting and distorting the same for their selfish motive and purpose as viewed in their websites and publications. The status of the Society makes it imperative that those who want to use His messages take prior permission/consent from the Society and keep proper documents to prove its authenticity. 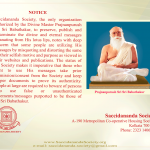 People at large are required to beware of persons who use false or unauthenticated statements/messages purported to be those of Sri Sri Babathakur. 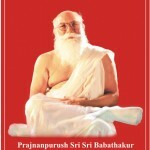 Dear Devotee, A function has been scheduled to be organized to offer prayers and respect by the devotees on Saturday, Feb 13, 2016, being Sripanchami Tithi, the day of Saraswati Puja and the day of divine arrival of Prajnanpurush Sri Sri Babathakur on the mortal plane. 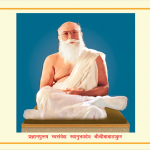 Saccidananda Society invites you to the 40th International Book Fair, Kolkata. Milan Mela Prangan, Opp. Science City, Kolkata. If you wish to post a blog, please mail your article to Saccidananda Society. The article will be published after it is reviewed by the Society.